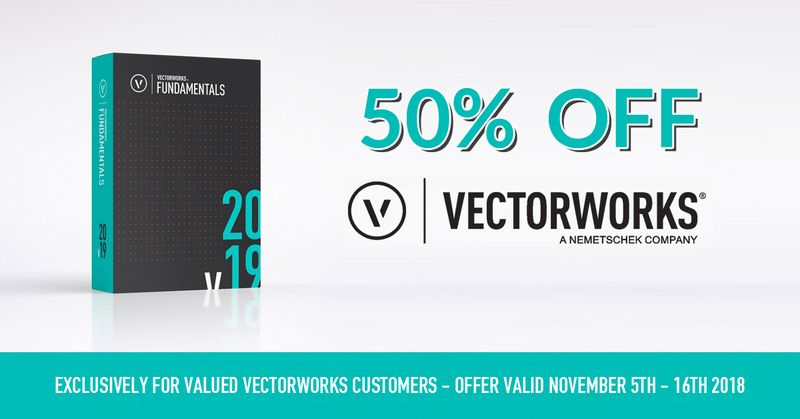 To draw this year to a close, we’re running 25% OFF Vectorworks from now until December 31st 2018! Now is a great time to invest in Fundamentals, Architect, Spotlight, Landmark or even Designer. VSS subscriptions and upgrades are included in the offer as well, so you can be sure of getting a great deal in preparation for next year. Find out more about Vectorworks on our website, or contact us today for a quote.